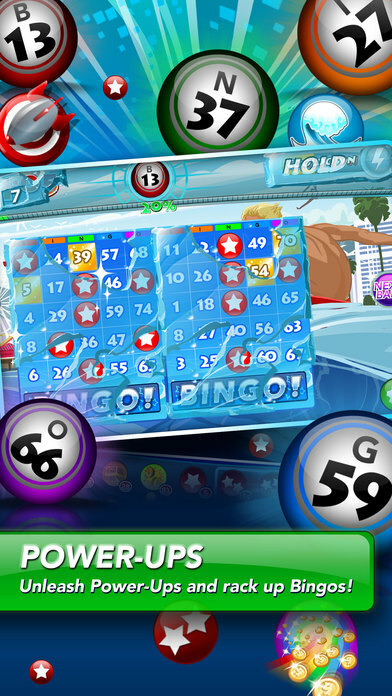 The World’s #1 BINGO franchise introduces the fast, addicting twist on the classic game with BINGO Rush 2! Play it for FREE on your iPhone and iPad! Experience the fastest BINGO game of your life as you race the clock to collect as many BINGOs as possible before time runs out. Take control of the action with the “next ball” button, speeding up how quickly balls are called. Play up to 8 cards at once and BINGO up to four times on each card. Try to achieve the ultimate “BLACKOUT” BINGO to earn BIG payouts! Unleash the 13 awesome Power-Ups to tilt the odds in your favor and rack up more BINGOs! BINGO around the world in our international themed rooms as you earn over 40+ Achievements and acquire more than 70+ Collection Items! Connect your BINGO Rush 2 account to Facebook to sync your profile, credits, coins, power-ups, and everything else you’ll need! 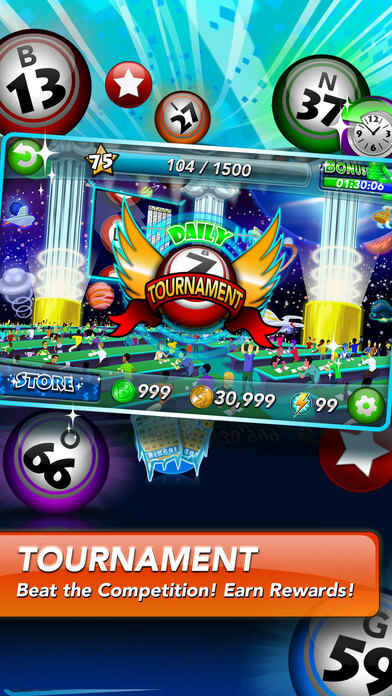 Test your BINGO Rush 2 skills against other players in our Daily Tournament! Climb to the top of the leaderboard for big payouts! Build your BINGO Rush 2 Team to BINGO with Friends for weekly prizes! Earn Points as your teammates BINGO and earn additional Bonuses as you progress through FIVE Reward Tiers! *BINGO Rush 2 contains optional in-app purchases.